Yay for Beasts! I look forward to seeing your Frankenstein creation. Thanks Gents! A little done on the Beast so far, but nothing I'm going to show off (yet). 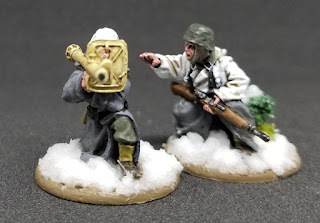 I'm also waiting on it's 60mm base to arrive from Ebay. 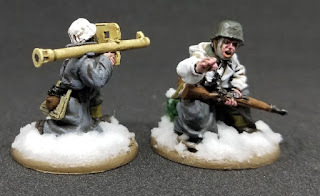 Instead, I finished up another 3 Winter Germans, this time some regular Heer - a Grenadiers squad Sergeant and a Panzerschreck Anti-tank team. 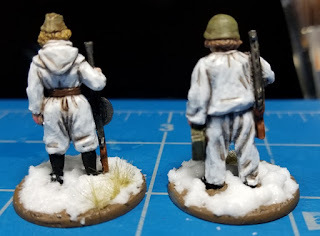 You’re going to shame me into painting some of those damnable Soviet Engineers. 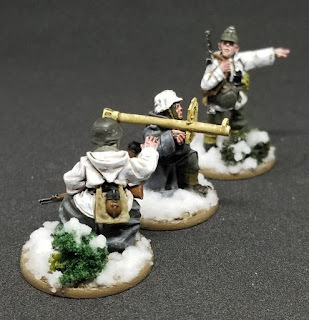 ...schnell die Panzerschreck nach vorn! 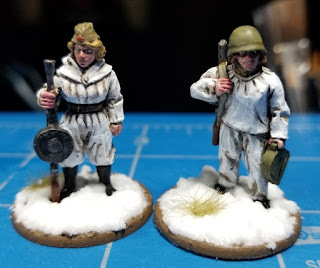 For a Stalingrad themed event I am attending on Saturday, I have added these two ladies to my force. 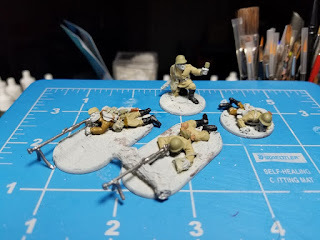 They are by Bad Squiddo Games and were simple to paint up. @ Phill - thanks matey! 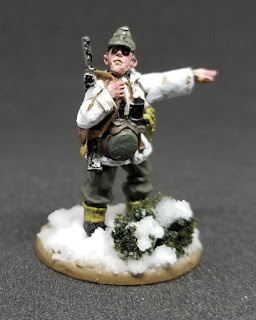 This weekend just past, I won my first ever wargaming event.